Andy Mill was first known for his expertise on skis. As a resident of Aspen, Colorado since 1960 he has had every opportunity to sharpen his skills. Andy Mill has a passion for tarpon and has 11 tarpon tournament wins to show for it. If you want to learn how to hook up and land trophy tarpon you need to listen to this show. Andy skied on the U.S. Ski Team from 1971 to 1981 and during that time competed in two Olympics. The first in Innsbruck, Austria in 1976 and the second in Lake Placid, New York in 1980. He also skied in two World Championships – St. Moritz, Switzerland in 1974 and Garmisch, Germany in 1978. Andy has worked with ESPN, NBC and ABC since his retirement from skiing in 1981. He has worked exclusively since 1991 with CBS covering World Cup Skiing and served as the color commentator for the 1992 Olympics in Albertville, France and the 1994 Olympics in Lillehammer, Norway. He has hosted, wrote or produced over 400 ski shows including his own titled “Ski with Andy Mill”. In 1994 Andy was inducted into the Colorado Ski and Snowboard Hall of Fame. When Andy wasn’t skiing he was fly fishing. He wrote, hosted and produced “Sportsman’s Journal” which included 81 salt water fly fishing shows. 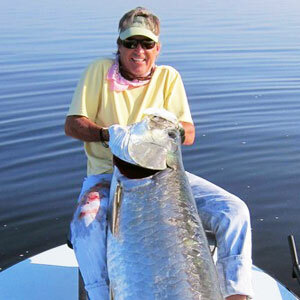 His passion of course is Tarpon and has won 11 tarpon tournaments, the most ever for one fly fisher. He was also the only angler to win a bonefish, permit and tarpon tournament. Andy has served on the Boards of the Aspen Educational Foundation, the US Olympic Educational Ski Foundation for the US Ski Team, Aspen Winterclub Foundation and National Atlantic Salmon Fishing Federation.